In the last months I have been testing out different types of coverage. I've used sheer coverage that gave me more natural look for years but in the last months I've been testing out Matte and Medium to Full coverage foundations for more coverage. I have to thank Selena, the beauty adviser at my local Sephora for suggestions these awesome choices. to give you longer lasting and evens out the texture of your skin to make applying foundation smoothly. THEN choose your type of coverage.. Medium to Full Coverage - Pigmented foundation that is in between matte and sheer texture. This one is awesome!! This foundation is great to cover up scars or different textures that you might have in skin. To finish it off it contains SPF 30! I've used this make up going out as well as for work. Sheer Coverage - Gives you a natural look. 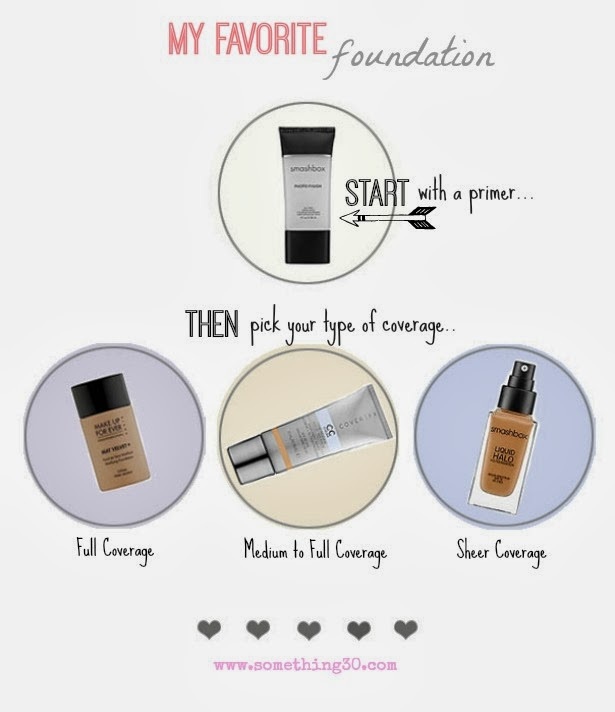 If you are looking for foundation that feels light against your skin. This gives good coverage and has SPF 15. This is my go-to make up for work and every day look.